This is a classic gift that is sure to add that little special something to the child in your life's room. The stars, ranging in size from 1 1/2" to 3 1/2" will glow delicately in the darkness of a bedroom at night if properly exposed to light during the day. 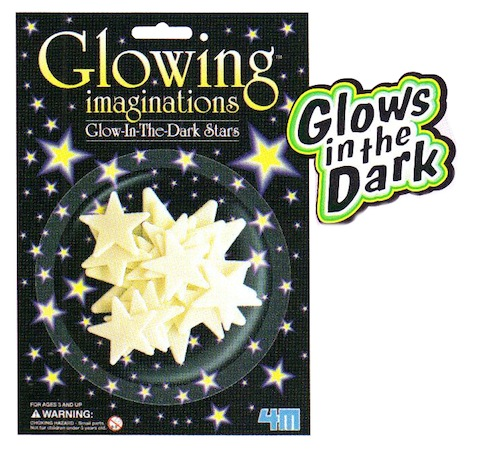 Pack contains sixteen stars and adhesive.